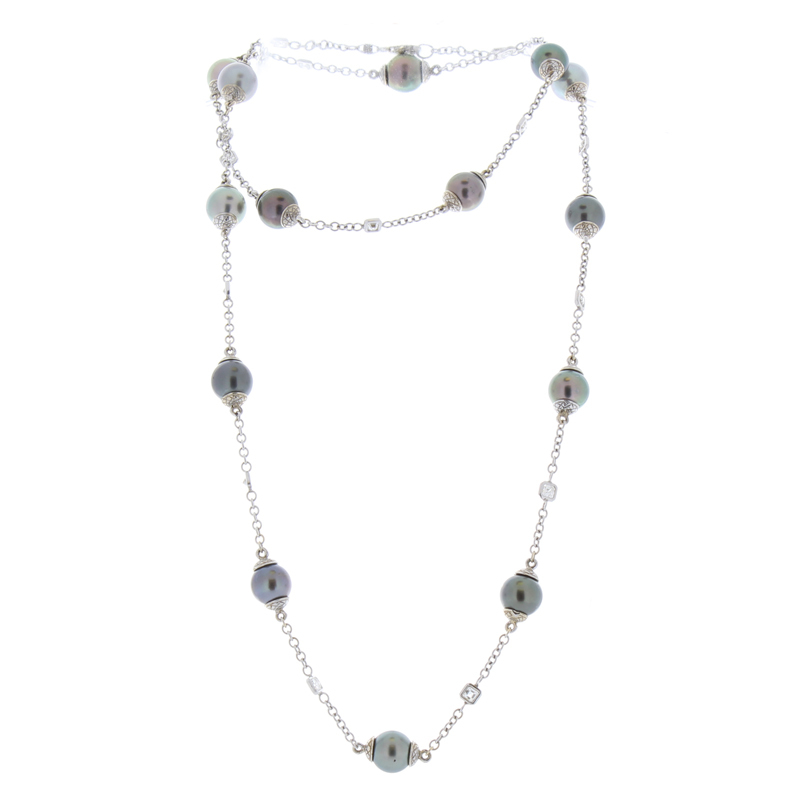 This stylish black Tahitian pearl and diamond necklace is an absolute pleasure to wear. It includes 14 � 9 mm black Tahitian pearls that feature a lavish luster and colorful undertones of gunmetal, eggplant, and peacock. The pearls are stationed on a secure chain and attached with elegant diamond caps. There are also square emerald cut diamonds, quality is superb at DEF VVS, that are stationed on the chain between the pearls bringing the total weight to 2.11 carat. This stunning 18 Karat gold necklace is 28� long which means it is super versatile to be worn as a long opera necklace or double stranded for a chic modern look.